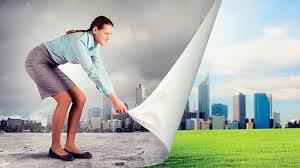 Specialization in Entrepreneurial Leadership and Social Transformation. Transformative Leadership and Social Entrepreneurship. What is your position and role of Leadership, and how competent do you feel as change agent in Society? Many leaders feel inadequate to take on the challenges presented in society, and ask what they, as a Small Business, or Church, can do to make the difference? Many people have dreams for their communities, talented and passionate in their endeavors, yet without specific direction and competence to create a Social Artistry in their vision to bring about transformation and peace. Successful transformation and social development requires knowledge of how individuals and groups respond to change. Regardless of what industry or enterprise you work in, or what role you perform in society, extraordinary results can be more expedient and effective by practical implementation of academic knowledge through action research. 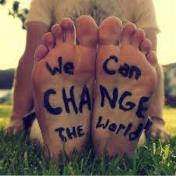 Transformative Entrepreneurial Leaders have a passion for creating positive change in the world. The complexities entailed require a new kind of change agent, one who works from the inside out and has developed the personal capacities required for the complex demands to initiate change. The Transformative Leadership approach to Social Entrepreneurship focuses on social and personal development by means of a collaborative exploration of the values and assumptions of businesses and new venture creation in the context of human nature, and how these assumptions affect decisions. In an era of rapid social change and rising complexity and ambiguity, there is an increasing need for individuals who want to work toward facilitating positive change. The incubation incorporates the mentoring of Transformative Leadership that covers all the stages of Change Management and Social Entrepreneurship – research, problem and strategy assessment, product, or process design, implementation and evaluation. The courses offered aim to equip e.g. business and ministry leaders, or social activists with the knowledge and skills needed to implement consciousness principles in order to ‘be the change they want to see in the world’. The training intervention is customized to empower students as successful change makers in the implementation of transformational principles that can be applied in any role and function in Society. The transformative learning and change incubation programme is therefore transdisciplinary and brings a spiritual orientation to the study of how to engage with contemporary cultural dilemmas, and the students capacity for communicative learning (dialogue) that cultivate participative change. The Incubation process creates a context where students can prepare themselves in a community of like-minded individuals, exploring their own mission in life and developing the skills needed to make transformation a reality. We extend this invitation to you to improve your leadership skills and participate in this unique learning opportunity at a fraction of the cost of formal education. The Programme, presented at undergraduate up to post graduate level, will cover fundamental modalities in Human Resource Development, Transformational Leadership, the Role, and Function of leaders in Organizations, and Strategies for Growth and Development. The incubation programme concludes with the participant’s articulation of their own leadership approach within the creation of a new venture. The programme includes the following components. Personal Development for Leaders and Transformative Consciousness. Effective Leadership Skills for Innovation and Change Management. The Role of your Organization, or Business, and Social Transformation. Your Personal Mission and Social Development, A Spiritual Approach to Business Management and Job Creation ventures. Transformative Learning and Social Development Theory and Praxis. Practical Application: Theory of Research and Projects Proposals. The Programme has the following objectives. 1. Foundational: Increase highly specialized knowledge on Leadership, the role of Social Entrepreneurship, and Responsible Business Activities to promote Social & Economic Development in contemporary settings. 2. Promote Integration of knowledge to enable community and project management skills: Ability to define and apply Transformative Learning Strategies and Change Agent intervention skills in complex environments. 3. Reflexive Application in Context: Display original thinking and/or research and creative innovation in selecting and utilizing suitable collaborative strategies to negotiate transformation and growth among community constituents. 4. Caring and Learning to Learn. To create a Transformative Environment to apply analytical techniques to resolve complex unpredictable situations that requires new strategic approaches to select and apply innovative solutions to orchestrate and motivate models for change. 5. Human Dimension: Critical awareness of personal leadership strengths, and weaknesses, and responsibility to contribute to professional knowledge and practice that support holistic and collective wellness. · Design and Development: Create and sustain models for Social Transformation that is culturally sensitive, and ethical community change through social entrepreneurship. · Catalyst for Change: Foster ability to lead, motivate, and empower others to strengthen the overall societal impact of individuals and organizations – To develop and initiate a practical model that can be applied to execute a plan for community change. · Communicate effectively and persuasively to build consensus: To leverage the use of resources to further Social Transformation, balancing conflicting needs of individual vs. common good. · Developmental and Learning Collaboration: Recognize and build upon individual and organizational strengths to form and maintain effective coalitions and partnerships. · Governing for Community Transformation: Different leadership responsibilities, such as communicating with stakeholders, and approaches to leverage leadership for Social and Economic impact. The Transformative Leadership and Social Entrepreneurship Incubation curriculum and duration will, by and large, depend on the clarity of the student’s vision, mission and strategy for transformation, and the competency achieved in specific knowledge and praxis incorporated as modules into the transformative learning process. The courses are conducted via correspondence with online blended support. The studies will involve guided research and practical reflective assignments, group discussions, group collaboration on projects, and practical sessions or workshops throughout the duration of the Incubation process. All study guides and research material will be provided. Students are encouraged to do additional reading, although any books purchased for this purpose will be for the students own account. Registration costs are Rand/Dollar exchange rate dependent, as well as the specific fees asked by the Universities who will confer and moderate the qualification. The student will be academically facilitated and coached through the studies by metalifecoach until competencies is achieved, and fees are asked for scheduled sessions to mentor progress and the assistance provided (part-time, once a week) at an additional cost of R 1750 /month. Full quotations and payment schedules will be provided. Please note that additional fees may apply for specialist guest lecturers, for practical retreats and workshops, plus accommodation where applicable pending on venue availability and sizes of groups. Venues: Workshops and group sessions are presented in Pinetown on Weekends. For more details, please inquire.